At St Patrick’s Catholic Academy, we are an inclusive, caring, learning community who endeavour to use the gifts and talents given to us by God to our full potential to help others and to Shine in the Light of Christ. The life, example and teachings of Jesus Christ underpins everything we do and who we are. At St. Patrick’s we strive to live, and encourage others to live the Gospel. The nurturing of the Catholic Faith. Seeking to develop the faith of all at school, irrespective of where they may be on their personal faith journey. Putting our Faith into practice in the quality of care and support that we extend to others; creating an ethos that exemplifies the teaching of Jesus Christ so that others can come to know God’s love as we do. Celebrating our Faith through Mass, Collective Worship, Personal prayer and taking part in the preparation for the Holy Sacraments. Welcoming the community to share all forms of prayer and worship with us making it a relevant and meaningful experience for all. 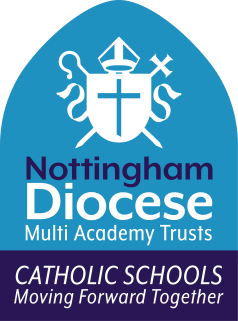 The effective delivery of a quality, rich curriculum, striving to develop the whole child and enable all pupils to fulfil their full potential by acquiring the knowledge and skills that will enable them to grow spiritually, morally, physically and academically and to make a valuable contribution in society. The encouragement of a positive partnership between home, school and parish, respecting all cultural and faith backgrounds and practices. Having high expectations for all, leading by example, encouraging pupils to develop self-respect, confidence, independence, personal aspirations and to set themselves high standards. The establishment and maintenance of a strong sense of identity and belonging, through the consistent promotion of high standards of conduct and respect for all. We want our children to feel happy, loved, respected, safe and valued as individuals in order for them to show kindness, respect, tolerance, acceptance and to celebrate our differences as we work together as a community. We work and worship collaboratively with all the schools in Our Lady of Lourdes Trust to deliver the best Catholic education for all our pupils. We are committed to ensuring equality of education and opportunity for all pupils, staff, parents and carers, irrespective of race, gender, disability, special educational needs, faith or religion or socio-economic background. We aim to develop a culture of inclusion and celebrate diversity in which all those connected to the school feel proud of their identity and able to participate fully in school life. We believe everyone has a contribution to make and will enrich our community. At St Patrick’s, we believe that diversity is a strength, which should be respected and celebrated by all those who learn, teach and visit here. We believe every individual is created in the image of Christ and as such should be respected, welcomed and valued in order to be able to Shine in the Light of Christ.